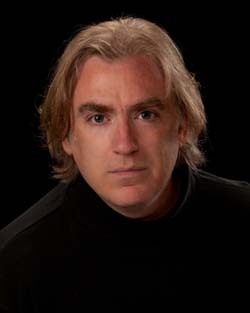 Daniel Bruce is a professional pianist and conductor who holds degrees from the Hartt School of Music and Northwestern University. Widely sought after as a performer and teacher, Mr. Bruce is Director of Music at Peoples Academy in Morrisville, and has been on the faculties of Hobart and William Smith Colleges as well as in the Northfield and Barre (Vermont) school systems. He also owns Stylus Editing, a proofreading and copy editing firm. Mr. Bruce is a highly versatile musician, with experience that ranges from solo and collaborative piano to music direction in nearly every genre, from classical to Broadway to jazz. His performing credits include an acclaimed performance of Mendelssohn's Piano Concerto No. 1 in G Minor with the Vermont Philharmonic, as well as two-piano concertos by Mozart and Poulenc (with Alison Cerutti). He has also performed Gershwin�s Rhapsody in Blue with the Montpelier Chamber Orchestra and with the Vermont Jazz Ensemble - the latter performance conducted from the piano, and the ensemble comprising the original Paul Whiteman instrumentation. In addition to his duties as founding music director of the BCSO, Bruce is music director of the Amateur Musicians Orchestra in Burlington, which welcomes musicians of all levels of ability and experience. He has conducted several readings of orchestral masterworks with the Green Mountain Mahler Festival, and has conducted the GMMF in three New Year's Day performances of Beethoven's epic Ninth Symphony. He is past conductor of the Vermont Philharmonic and Barre Choraleers, and has taught students of every age from pre-schoolers to retirees. Mr. Bruce has also worked extensively in music theatre, having directed music and played piano or percussion in over 100 school, amateur, and professional musical theatre productions in Vermont, Illinois, and New York. Before returning to Vermont in 2005, he was Coordinator of Music for Syracuse (NY) Children's Theatre and Syracuse Civic Theatre.